stLFR from MGI is the latest technology to provide long range sequencing information from short reads. The technology is based on DNA co-barcoding (Peters et al 2014) where the same barcode sequence is added to sub-fragments of original high molecular weight DNA. After sequencing on DNBseq technology the stLFR enables high quality calling of small variants, phasing, De Novo assembly, structural and variation detection. This latest innovation in synthetic long reads provides long range information with all the benefits of useability that short read sequencing provides. 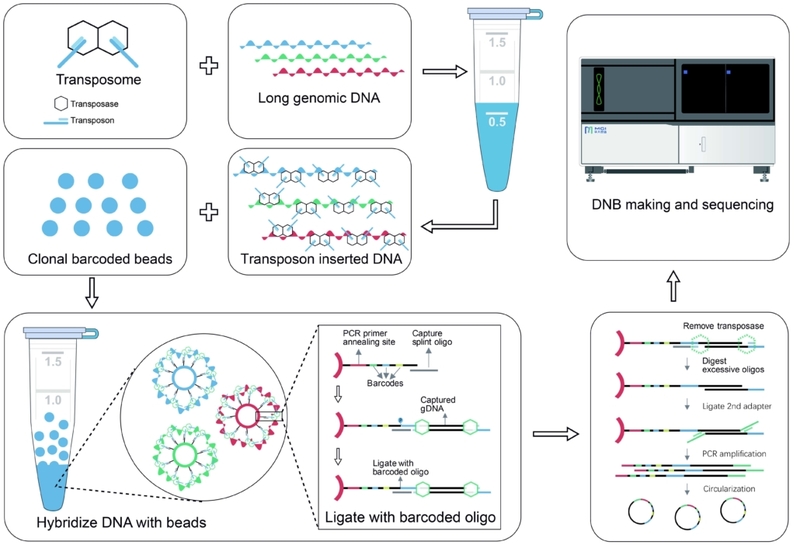 Single tube long fragment read (stLFR) technology can generate short reads and long reads from one library in a single NGS run to deliver even more perfect WGS.